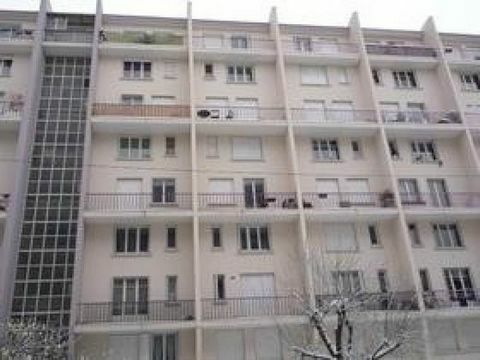 Grenoble Every four years social housing tenants in France have the opportunity to run for seats on the board of their city’s housing authority. Admittedly, the seats allotted for tenant representation are a minority of the board positions, because in France, as elsewhere, a voice for tenants is preferable to allowing real power for tenants. 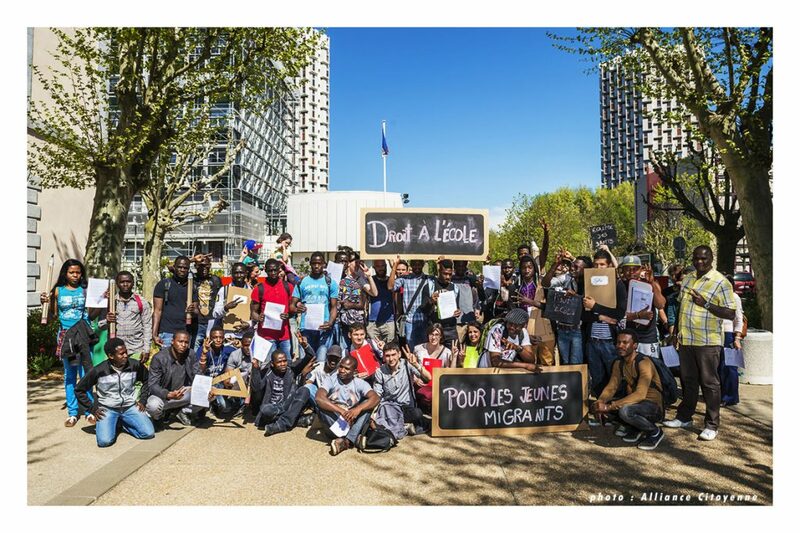 From conversations with organizers, leaders, and members of ACORN’s French affiliate, Alliance Citoyenne, in Grenoble and the Parisian suburb of Aubervilliers, that may be about to change. Members of the Alliance have put forth slates of candidates in three different housing districts, two in Grenoble and one in Paris and have begun to campaign in earnest. In various meetings throughout the week the plan has shaped up. In Grenoble where the voting pool is 17000 families, we have been wrestling with the mechanics of the election. There is a voting period of roughly two weeks in which tenants have to return mail ballots to be counted in the election. A list of tenants is available as well as a map of all buildings in the system, but the exact time of their availability is still uncertain, making it difficult to make a comprehensive week-by-week plan. Nonetheless, Alliance candidates have an advantage simply because they are running as a team, backed by the organization, and in some cases partnered with a local union as well, but that advantage only works if we are all able to come to consensus on a plan and then do the hard work of campaigning for the almost eight weeks until the voting closes in December. After conference calls throughout the week, I attended a meeting of the candidates, organizers, and key organizing committee members in a common space meeting room in one of the housing projects of Grenoble Habitat, where over potato chips and apple juice the plans were being hashed out. Like all campaigns and organizing the focus was first on lists and building an organizing committee. Regardless of when – or if – a list is supplied by the housing authority, the key first topic on the agenda of the meeting was how to use the list we have and how to build it larger in advance of the election. In the smaller election, we have 800 names and in the larger one we have closer to 1500. There was agreement that the committee would divide up the list, report on daily progress, and commit individually to spending 10 hours on the phones to contact all 2300 names in order to reach 800 to 1000. The objective was to use the calls to identify building representatives as organizing committee members in as many buildings as possible. Those campaign representatives would commit to circulating the literature, building a list of building tenants, joining the candidates in doorknocking in their building, and organizing a building wide meeting to meet the candidates between now and the election. The literature drop would be in the following week, and staff and the planning committee committed to developing a week-by-week plan until the election to be discussed and decided on at the regular weekly meeting. There was agreement that the concentration would first be on identifying and turning out our base to vote before trying to expand to buildings in the suburbs and elsewhere that we had not previously organized. These elections are decided by only one or two thousand votes, so the GOTV and multiple “touches” to make sure the ballots are filled our correctly and mailed is central to victory. This is the first time the organization has embarked on an election campaign of any kind, so it’s exciting and heady stuff. The one thing that is certain is that the leadership and organization will be stronger once the votes are counted, win, lose or draw. The other thing that is clear will be that if the Alliance/ACORN members are elected, change is coming to housing authorities in Grenoble and Aubervilliers as tenants join their voices together to create power on the boards that will not be denied. Please enjoy Southern State of Mine by Sugarcane Jane. Sarah Borges & The Broken Singles’ Get as Gone Can Get. Grenoble Finally with the last of our meetings over in Paris, we headed for Grenoble to focus on our own business, the internal and external work of ACORN International and its affiliates, most importantly, the Alliance Citoyenne and our joint work through ReAct globally. Where do we begin? Well of course everywhere, but we continue such conversations in captive audience meetings on trains from Brussels to Paris and then into the night along the three hour journey between Paris and Grenoble. The conversations were wide ranging, charts and diagrams emerged, maps were drawn, boxes were ticked off, pros and cons debated, and endless lists emerged for follow up and implementation. It’s trite to say that it’s a big world, but true nonetheless, and the opportunities are boundless, but how are organizing models built except through similar processes of selection and rejection. In France, progress seemed to have been made after our recent staff meeting to expand significantly in an area close by to Aubervilliers, where we are now organizing, in the lower income and immigrant suburbs. The devil is in the details, but there seems to be some blessing emerging for such a plan that could be a rocket boost for the work in Paris. Vision drives the timelines and trying to build a national organization, would find us still fledgling in 2017 at the next national election, but more realistically would allow us to concentrate multi-city growth and development by 2022. Lyon is the third largest city in France and only a bit more than an hour away from our powerhouse in Grenoble, so it’s an obvious choice to develop perhaps within the next year. St. Etienne is also in this cluster and about the same size as Grenoble, so would seem inevitable within coming years. We have an ally in Rennes, which takes that off the list for now, while discussions continue, but what else is possible? Marseilles is the second largest city. Lille has been mentioned in the north. Nantes is worth thought for size and location. Without some strategic thinking Paris and “greater Grenoble” could take us years, so this will be interesting to cobble together. With a meeting of all of our Africa-based staff, thinking about France seems easy compared to trying to determine where we can build a showcase operation to root the model and the work in Africa. On the Anglophone side, we have a deep and lasting commitment in Kenya, but have had trouble breaking out of the Korogocho slum, given its size (450000) and complexity, and certainly can’t pretend that we are contending for power anywhere else. Meetings in Germany and earlier in London, put South Africa on the list based on the prospects of developing a training program for community organizers there, but who is to know. ReAct has done extensive campaign work and direct organizing in several countries in Francophone Africa so their experience drives this conversation importantly. Cameroon has shown the most promising success and our work in organizing more than 1000 plantation workers in several areas of the country also proves that the base and campaigns can be built in more rural areas as well. Our meeting in the fall is going to be held in Douala, so that city, one of the largest in central-west Africa, immediately becomes a primary candidate, so we’ll have a chance to take a good look. Another argument was made for an even larger city, Abidjan, the economic capital of Ivory Coast and West Africa. The political climate is slightly less stable, but the potential there is huge. The one certainty is that to organize effectively in countries throughout Africa, we have to build a showcase operation in several places just as did in the United States starting in Little Rock, in Canada starting in Toronto, in Honduras now for Latin America, Bristol in the United Kingdom, and Grenoble in France in order to drive the growth. These conversations are always heady and exciting, but the decisions that follow and the commitments they entail are permanent, so care and caution must match vision and dreaming in such planning.